(CBS/AP) Black and Hispanic children should be taught how to swim to curb the racial disparities in drowning rates, according to government safety advocates. CDC: Kids' accidental death rates down 30%, "but we can do more"
The U.S. Consumer Product Safety Commission (CPSC) will release its annual childhood drowning report Thursday at the Fort Lauderdale Aquatic Complex, home to the International Swimming Hall of Fame. The report urges parents to be aware of swimming pool safety before the summer heats up. The report presents estimates of deaths and injuries associated with pools, spas and hot tubs, and coincides with a national campaign called "Pool Safely" that aims to reduce the number of similar events. The campaign, found at www.PoolSafely.gov, is focusing this year on increasing swimming education in black and Hispanic communities. Black children between the ages of 5 and 14 are three times more likely to drown than white children of the same age range, according to the Centers for Disease Control and Prevention. Research by the USA Swimming Foundation indicates that up to 70 percent of black and 62 percent of Hispanic children cannot swim, the CPSC said. 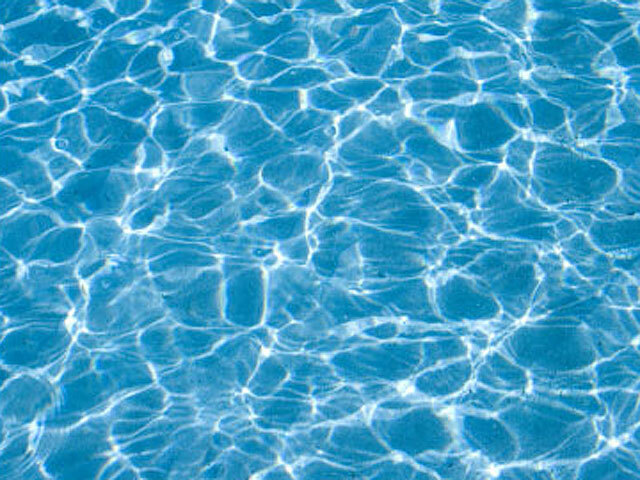 Citing that research, safety commission chairman Inez Tenenbaum said "there's no question" that not knowing how to swim contributes to the deaths of minority children who drown in pools and in natural bodies of water such as lakes, streams or the ocean. "We are focusing on minority children because the data show they are most at risk for drowning," she said in a telephone interview. "It's a cultural issue, because many of the African-American and Hispanic children have parents and grandparents who never learned to swim." The safety commission is working with the Y, the American Red Cross, public schools and other community organizations to boost access to free swimming lessons. Between 2007 to 2009, an annual average of 390 pool- and spa-related deaths involving children younger than 15 were reported. About 73 percent of those deaths occurred at a residential location, and three-quarters of the reported deaths involved children younger than 5. Of the 5,200 pool- or spa-related injuries involving children younger than 15 from 2009 through 2011, approximately 51 percent occurred at a residential location. Portable pools accounted for an annual average of 40 deaths involving children younger than 15. Children between the ages of 1 and 3 represented 66 percent of the estimated injuries for 2009 through 2011 and 67 percent of the reported fatalities for 2007 through 2009. No deaths caused by entrapment, when the suction in a pool or hot tub traps a swimmer underwater, were reported in 2011. Seven entrapment injuries were reported last year. According to the CPSC, more than half of reported drowning deaths involving children under the age of 5 could be attributed to a lapse in adult supervision. Also, more boys were treated for pool- or spa-related injuries than girls. The CDC says nearly 80 percent of people who die from drowning are male. "These numbers are consistent, and it has been long known that drowning is the number one cause of death in children younger than 5," Tenenbaum said. Tenenbaum noted that swimming is a featured activity in first lady Michelle Obama's "Let's Move!" fitness initiative, and she encouraged parents who don't know how to swim to make swimming lessons a family activity. At Thursday's announcement, Tenenbaum will be joined by representatives from the National Drowning Prevention Alliance, USA Swimming and the Josh Project, a non-profit which teaches minority children to swim. Drowning rates among African Americans increase through childhood and peak at 15 to 19 years of age, according to the CDC. Factors such as the physical environment - such as access to swimming pools - and a combination of social and cultural issues (e.g., wanting to learn how to swim, and choosing recreational water-related activities) may contribute to the racial differences in drowning rates. The CDC's drowning rates are based on population, and not on actual participation in water-related activities. If rates were determined by participation, the CDC says, disparity in minorities' drowning rates compared to whites would be much greater. The CDC has more information on drowning.